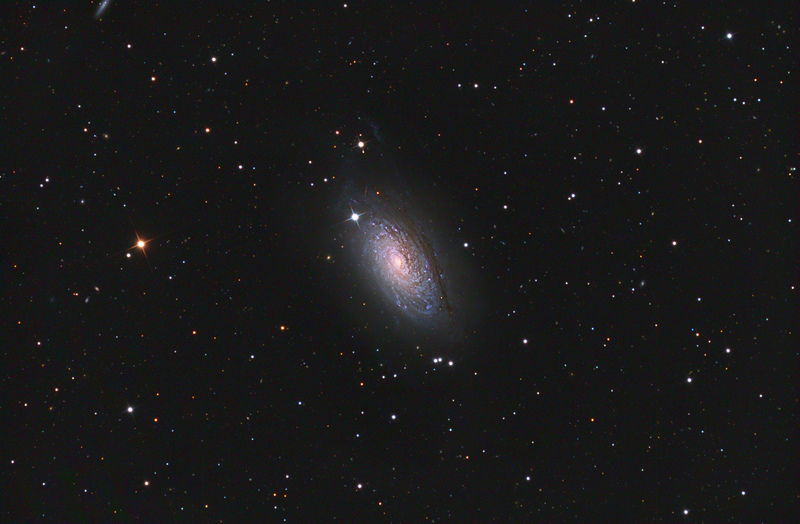 The Sunflower Galaxy (also known as Messier 63, M63, or NGC 5055) is a spiral galaxy in the constellation Canes Venatici consisting of a central disc surrounded by many short spiral arm segments. The Sunflower Galaxy is part of the M51 Group, a group of galaxies that also includes the Whirlpool Galaxy (M51). This image consists of 11 hours of exposure from March 31, 2011 through April 4. The imaging session was under the control of CCDAutoPilot.